With all delays, matchup eventually began. 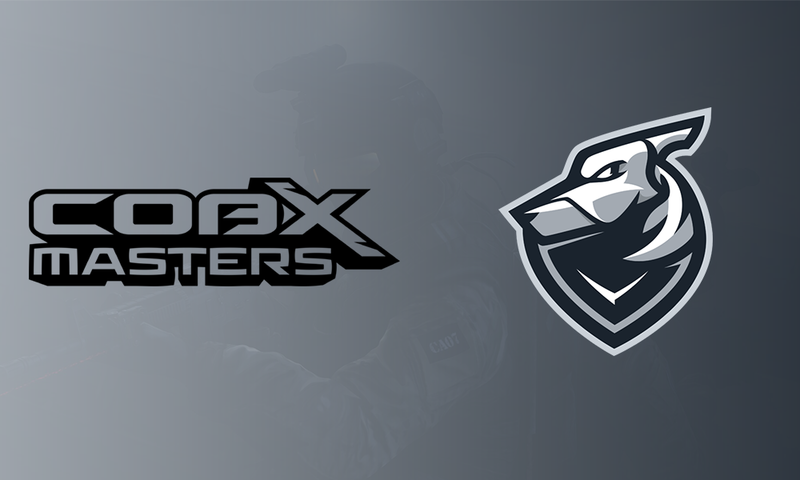 Grayhound won knife round and begin their encounter against Global Esports on Inferno in best of one encounter as counter-terrorists. Grayhound began with aggressive positioning in the pistol round and grabbed it without any casualties. Sico got quad kill with grenade at banana in the second round. Global Esports were equipped with rifles in the third round and Indo-Polish lineup bagged their first round. Global Esports won following round against Grayhound’s semi-buy. Fifth round was almost conquered by Global Esports, however, Grayhound won it in 2vs4 disadvantage scenario due to lackluster play on Global Esports’ part. Global Esports forced in the following round and merely secured the round as Grayhound couldn’t retake A-site. 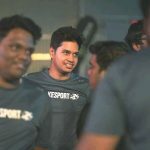 Tejas ‘Rexy’ Kotian got multiple kills and a clutch to add following rounds in Global Esports’ favour. Scoreboard went 5-3 inclined towards Global Esports. Grayhound fought back and the Australians grabbed tenth round, completely shutting down terrorists on B-site. Scores tied 5-5 as Grayhound secured another round since Global Esports’ force buy couldn’t yeild result. Grayhound secured lead 6-5 as they shut down dry rush towards A-site. Grayhound were on a rampage grabbing multiple rounds, however, Global Esports won the last round. First half ended 9-6 in favour of Grayhound. Global Esports secured the pistol round as the sixteenth round went onto 1vs1 and kamil won it for his team. Grayhound upgraded pistols in the following round but Global Esports didn’t collapse either. Grayhound bought rifles in eighteenth round but the Australians were overwhelmed by SMGs. 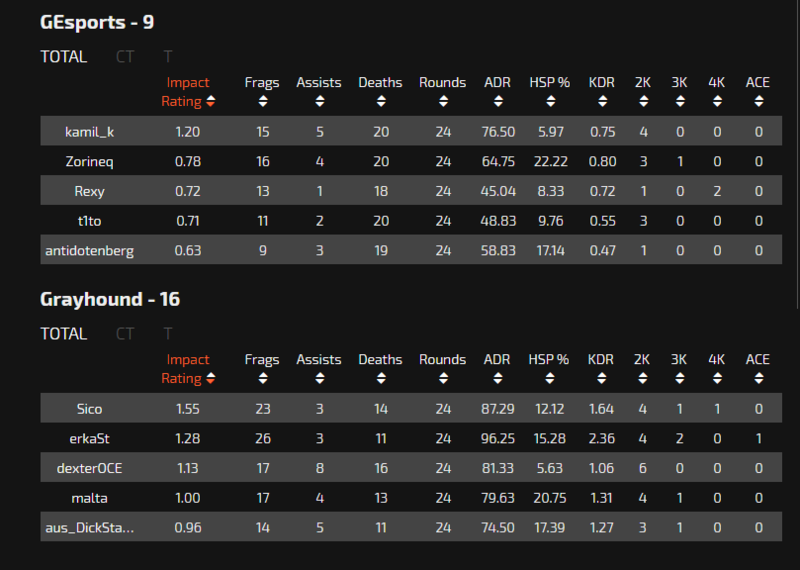 Scores tied 9-9 but Global Esports couldn’t take the lead, Grayhound won the round with merely upgraded pistols. Global Esports’ economy crumbled and Grayhound took 11-9 lead. Global Esports in the subsequent round, forced along with a saved AWP on kamil which didn’t quite get along. And since then, Global Esports couldn’t win a single round due to force buys and multiple mis-calculated plays. Grayhound won Inferno 16-9.